I added some wood pieces from my dad’s firewood pile he cut off in December when we were visiting Virginia. Then I added some sticks from our backyard and moss, which came from the craft store. I’m very happy with it! Here is a pic of my granddaddy. 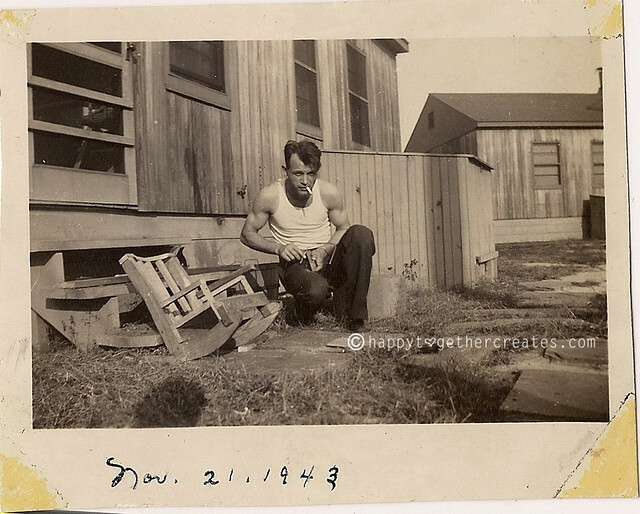 He’s putting a little rocking chair together. He could make anything. He even taught me how to carve when I was little. When he was older, he even won a ton of wood carving competitions. He went to heaven when I was younger, but I still miss him and ask God to tell him things for me. Him and my grandma gave me such good memories. They lived on the Chesapeake Bay, so they also taught me about crabbing and fishing and they had a wonderful garden. I have so many memories of picking the ripe tomatoes, pulling up radishes, and picking the beans and peas. My grandma would sew clothing for me and let me pick out the fabric and crochet endless things. These are things I am working on to be able to share with my children. This is such a sweet post. 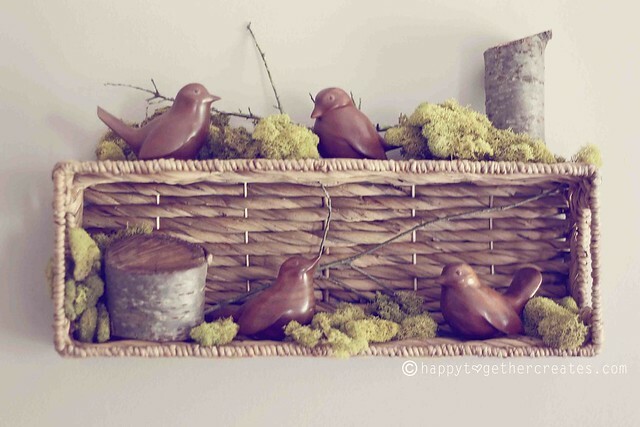 Those birds are adorable, and that is a great way to display them. Last time we visited my husband’s family I found myself looking at their collections and thinking how I hope we can have one thing to remember them by when the time comes for them to pass away. thats really sweet!!! and i love those little birds! Oh, beautiful!! I love those! 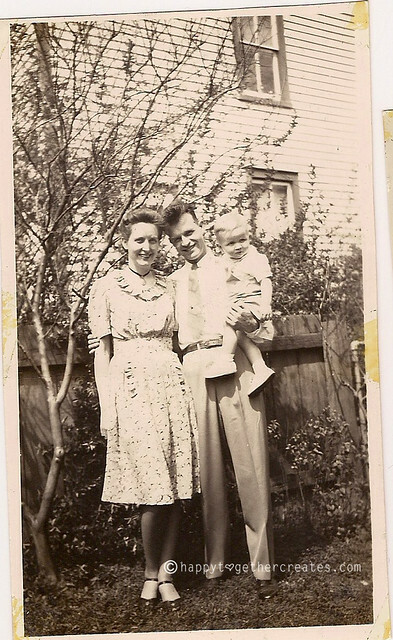 And what sweet memories, your grandparents sound like they had a really neat life. 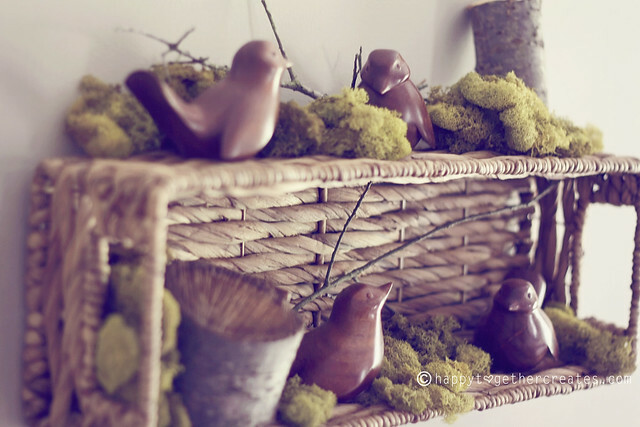 Beautiful birds and a lovely way to display them and keep your memories alive. those are gorgeous! love how you’ve used them! I love this! Family history is really important to us. My husband’s grandma was a travel buff and collected things from her trips. We have a “nanny” corner where we display her treasures and it’s a great way to keep her memory alive and to share with the kids. This touched my heart! What treasures to have. Memories with grandparents are priceless!